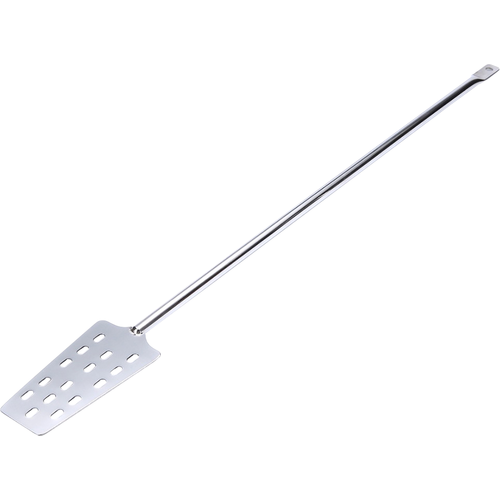 This 24-inch stainless mash paddle is the perfect size for most 5-gallon batch applications, and is well-suited for use with the Robobrew, DigiBoil, Grainfather or Braumeister brewing units. 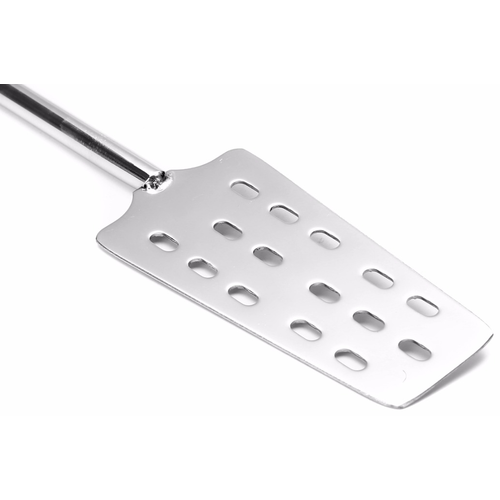 Slotted paddle face gives you less resistance while stirring in extract or breaking up dough balls. 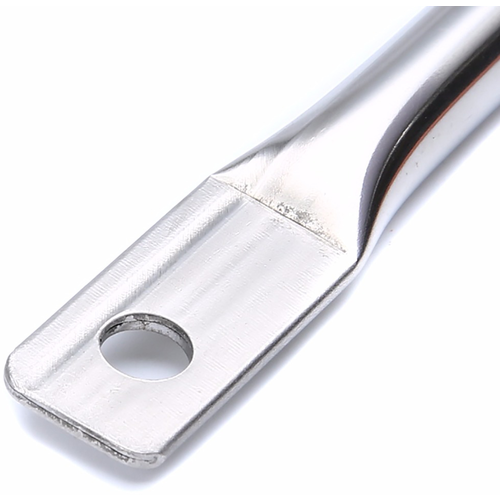 Features a hole located at the handle end so you can hang up the paddle when not in use. The article for BIAB said I'd need a mash paddle. Stainless steel seems better than plastic.